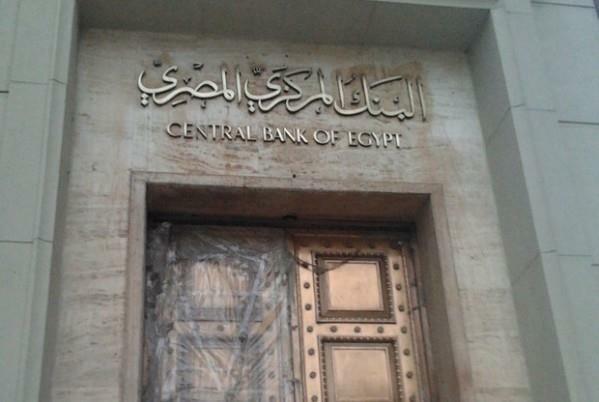 (MENAFN - Daily News Egypt) The Central Bank of Egypt (CBE) stated that its current key interest rates are consistent with its goal of achieving single rates of general inflation once the temporary effects of the state's fiscal consolidation programme are over. The CBE, in its monetary policy report released last week, noted that the outlook for inflation included lower prices for Brent oil price, and warned that global oil prices were still volatile due to potential supply factors. In order to contain inflationary pressures, which came due to the transitory nature of supply to certain fresh vegetables, the Monetary Policy Committee (MPC) scheduled its meeting on 15 November 2018 to maintain key policy rates unchanged. It added that current policy rates remain in line with achieving single digit inflation as soon as the effects of the fiscal consolidation measures dissipate. The report noted that real GDP growth is expected to continue benefiting from structural reform measures, while potential fiscal consolidation measures may temporarily recede the recovery of private consumption. Net exports and investments are expected to continue to complement consumption as growth engines. Moreover, the overall fiscal deficit is budgeted to decline to 8.4% of the GDP in 2018/19, compared to an expected 9.8% in 2017/18 and 10.9% in 2016/17, and is targeted to continue decreasing thereafter. Meanwhile, the primary fiscal balance is budgeted to record a surplus of 2.0% of the GDP in 2018/19, compared to an estimated surplus of 0.1% of the GDP in 201718 and a deficit of 1.8% of the GDP in 2016/17, with the aim of maintaining this surplus henceforth. "Brent crude oil prices incorporated in the domestic inflation outlook were downwardly revised in line with recent developments that affected the outlook of international oil prices. Yet spot prices remained subject to volatility due to potential supply factors. International food price forecasts, relevant to Egypt's consumption basket, were also downwardly revised primarily because of lower prices of rice due to improving production prospects and exports competition," the report read. In addition to international commodity price developments, risks from the external economy continue to include the pace of tightening financial conditions, as well as trade tensions, according to the CBE. Meanwhile, domestic risks surrounding the inflation outlook keep including the timing and magnitude of potential fiscal consolidation measures, unanticipated supply shocks, and the evolution of inflation expectations as well as demand-side pressures. Furthermore, annual headline inflation rose to 16.0% and 17.7% in September and October 2018 respectively, affected by the inflation of select fresh vegetables. This is a result of the fiscal consolidation measures which led headline inflation to rise from a 25-month low of 11.4% in May 2018. Nevertheless, the CBE noted, annual core inflation continued to decline to an average 8.7% between July and October 2018, the lowest rate in over two years. Correspondingly, the spread between annual headline and core inflation continued to widen since June 2018. Monthly headline inflation was mainly driven by food inflation since August 2018, after being severely driven by non-food inflation between May and July 2018 due to fiscal consolidation measures. Inflation of fresh vegetables was the main contributor to food inflation, recording in October 2018 their highest annual inflation since April 2011. Prices of potatoes and tomatoes rose for the eighth and fourth consecutive month respectively, accounting for 65.8% of cumulative monthly headline inflation between August and October 2018. In addition, inflation of fresh vegetables has been elevated since June 2018 due to seasonal effects that were heightened by indirect consequences of the fiscal consolidation measures, as well as transitory shocks related to potatoes and tomatoes. On the other hand, prices of core food items were largely stable, except for prices of poultry and eggs, which experienced volatility since July 2018. Meanwhile, non-food inflation has been contained, according to the CBE. "It only reflected higher prices of natural gas for housing in August 2018, as well as public and private education services prices in October 2018, which were expected in terms of timing and magnitude," it explained. The volatility of core food inflation witnessed domestically since August 2018 led to a divergence between domestic and international core food price developments. International core food inflation continued to register negative monthly rates since June 2018, driven mainly by price declines in poultry, red meat, and dairy products. This comes after domestic and international core food price developments have been largely consistent since the beginning of the year, except in June 2018 due to domestic fiscal consolidation measures. In December 2018, the CBE said that annual headline inflation eased to 15.6% at the end of November 2018, down from 17.7% in October, while monthly inflation recorded a decline of 0.7% in November down from 2.6% in October. Meanwhile, the CBE pointed out that the annual core inflation reached 9.7% in November 2018, down from 8.9% in October. The monthly core inflation also shrank by 0.5% in November down from 1% in October. Real monetary conditions constricted despite continuously being impacted by potential future inflationary pressures from fiscal consolidation measures. This was supported by the previous policy rate increases, notwithstanding the cumulative 200 basis points (bps) policy rate cuts since the beginning of 2018. Meanwhile, the transmission of the nominal policy rate cuts to nominal interest rates in the economy was strong, except for rates of letters of credit (L/C) government securities. After declining in December 2017, excess liquidity continued to increase since January 2018 to record an average EGP 746.3bn, or 13.9% of the GDP, during the maintenance period which ended on 5 November 2018. The absorption of excess liquidity over the short term rose mainly due to higher volumes in seven-day deposit auctions, which registered on average EGP 41bn, or 0.8% of the GDP and 5.8% of excess liquidity since mid-February 2018, while the overnight absorption of excess liquidity continued to average EGP 19.2 bn, or 0.4% of GDP and 2.8% of excess liquidity. "Meanwhile, the effective maturity of liquidity-withdrawal operations greater than seven days continued to range between 38 and 69 days since March 2018, compared to 18 days between October 2017 and February 2018," the CBE stated. In the mean time, interbank activity remained strong since April 2018 and the interbank yield curve proceeded reliably stable post the 100% transmission of the cumulative 200 bps policy rate cuts on 15 February 2018 and 29 March 2018. Consequently, the interbank rate continued to remain below the policy rate by around 30 bps since mid-August 2017. Yields for L/C government securities stabilised at 15.8% following taxes during October and the first half (H1) of November 2018, after continuing to rise between May and September 2018. This compares to 13.7% in April 2018 and 14.6% on average in the fourth quarter (Q4) of 2017, before the CBE's policy rate cuts. The global events' effect on L/C government securities has more than offset the impact of the cumulative 200 bps policy rate cuts in February and March 2018. The coverage ratio stabilised at 1.7x on average during October and H1 of November 2018, compared to 2.1x between February and April 2018 during the period of policy rate cuts and 2.4x in 2017. Moreover, the inverted yield curve increased in October and beginning of November, after it has been flattening since the beginning of 2018, according to the CBE. "This was driven by the recent considerable increase in demand for treasury bonds (T-Bonds), which was more than enough to offset the relative increase in issuance," it explained. Meanwhile, despite the continued constriction of global financial conditions and higher risk premiums of emerging markets (Ems) since the beginning of 2018, Egyptian Eurobond yields remained stable reliably since July 2018 after rising between February and June 2018. Moreover, Egypt's certificate of deposit (CDS) spreads remained relatively low compared to the majority of peers with similar sovereign credit rating. Furthermore, Egypt's outlook was raised to positive in August 2018 by Moody's, after S & P upgraded Egypt's credit rating in May 2018. In the banking sector, rates for new deposits remained relatively stable to record 12.8% on average since April 2018 after declining in response to the cumulative 200 bps cut in February and March 2018. Meanwhile, rates for new loans continued to decline to record 17.0% on average in Q3 of 2018. The pricing of new deposits declined by 1.2x compared to the cumulative 200 bps policy rate cut, mainly driven by strong declines of deposit rates in public sector banks, while the pricing of new loans declined by 1.1x. The continued decline of lending rates led to a slight narrowing of net interest margins, after reaching a peak in Q2 of 2018. The CBE added that, in equity markets, real prices continued to be affected by the negative sentiment in EMs. Nevertheless, the EGX30 USD index continued to outperform the MSCI EM index since March 2018, since its recent cumulative 30% drop since May 2018. Meanwhile, real unit prices reported declines in select districts of Cairo's residential real estate sector during Q3 of 2018 for the first time since Q4 of 2016. The demand continued to shift from secondary markets towards primary markets, given more flexible payment plans offered by numerous developers. Following the fading of the exchange rate revaluation effect in Q4 of 2017, annual M2 (money supply) growth continued to decline to average 17.1% in Q3 of 2018, supported by fiscal consolidation. The contribution of foreign non-bank and external financing continued to decrease in Q3 of 2018, in line with the reversal of net portfolio inflows due to global factors as well as the absence of Eurobond issuances. Together they have more than offset the increase in domestic bank financing. Data up to 2018 Q2 show that decreasing M2 growth favourably coincided with annual changes of broad money velocity, which had turned positive since Q3 of 2017 suggesting lower room for noninflationary money growth, despite showing weaker momentum recently. Meanwhile, following its decline between Q2 of 2017 and Q1 of 2018, the contribution of claims on the private sector to M2 growth increased moderately in Q3 of 2018 for the second consecutive quarter. Inflation-adjusted L/C claims on the private sector began to witness annual increases since Q1 of 2018, after recording annual contracts in 2017. "The recovery was especially evident for claims on the private business sector, while claims on the household sector reclaimed by a relatively weaker magnitude. Moreover, the contribution from net claims on public economic authorities resumed its declination in Q3 of 2018 after a brief interruption in Q1 and Q2 of 2018. Meanwhile, the contribution from claims on public sector companies stabilised in Q3 of 2018 for the second consecutive quarter," the CBE added. Within the components of M2, the currency in circulation (CIC) as a percentage of L/C deposits in M2 stabilised in Q3 of 2018 for the second consecutive quarter at a ratio below it's long-term historical average, suggesting continued normalisation of currency holding behaviour. Meanwhile, the annual growth of foreign currency (F/C) deposits in USD remained reliably stable, and the composition of the private sector deposits continues to be increasingly leaning towards L/C. Moreover, the structure of household deposits in L/C continued to be dominated by deposits of more than three years since May 2018, following 1.5 years of dominance by deposits less than 3 years amid the introduction of 1.5-year saving certificates in public banks, at a higher rate compared to longer-term saving certificates. This reversal is consistent with exemptions of these certificates since May 2018, given their cancellation in late April 2018. Annual growth of the monetary base (M0), adjusted by total excess liquidity, continued to decline in Q3 of 2018 for the fourth consecutive quarter due to CBE balance sheet operations which led to lower excess liquidity growth. The money multiplier, measured as the ratio between local currency components of broad money and M0, remained broadly stable for the fourth consecutive quarter in Q3 of 2018, following its decline between Q3 of 2016/17, given the relative stability of the CIC, excess liquidity and required reserves as a share of L/C deposits. Annual real GDP growth stabilised at 5.4% in Q2 of 2018, after rising for six consecutive quarters, and the unemployment rate stabilised at 10.0% in Q3 of 2018. After increasing for six consecutive quarters since Q4 of 2016, real GDP growth stabilised at 5.4% in Q2 of 2018. Compared to the previous quarter, the positive contribution of private domestic demand and net exports declined, while that of the public domestic demand increased. The unemployment rate stabilised at 10.0% in Q3 of 2018, after being on a downward slope for seven consecutive quarters. The decline in private demand was mainly driven by private consumption and to a lesser extent by private investments, while the increase in public demand was mainly driven by public investments in electricity, natural gas extractions, among other sectors. The positive contribution of net exports to growth continued to decline for the second consecutive quarter, driven mainly by exports. At the sectoral level, growth stabilised mainly as the less favourable positive contribution of the natural gas extractions, and activity was offset by minor improvements in construction and other sectors. Available leading indicators for the non-hydrocarbon sector indicated decreasing activity. The Purchasing Manager's Index weakened compared to its average level in Q2 of 2018. Hotel occupancy rates decreased compared to Q3 of 2018. Car sales and Suez Canal net tonnage receded on annual terms in Q3 of 2018 compared to Q2 of 2018. On the other hand, natural gas production increased on annual terms at a faster pace during July and August 2018, compared to the average pace in Q2 of 2018. The external balance continued to benefit from increased competitiveness and the liberalised exchange rate system. The current account deficit continued to narrow in Q2 of 2018 on annual terms for the seventh consecutive quarter. The pace of improvement regained momentum in Q2 of 2018, after losing velocity in the previous two quarters. Compared to the previous quarter, a more favourable annual contribution from the hydrocarbon trade deficit, net services receipts and remittances have more than offset the less favourable contribution from the non-hydrocarbon trade deficit and net income payments. "Taken together, net exports of goods and services continued to contract in Q2 of 2018 on annual term for the sixth consecutive quarter, as higher exports of goods and services continued to more than offset higher imports," according to the CBE. However, the pace of annual improvement continued to slow down for the third consecutive quarter. Despite higher oil prices in Q2 of 2018, which increased the value of hydrocarbon exports and imports, the hydrocarbon trade deficit resumed its improvement on annual terms in Q2 of 2018 for the second consecutive quarter after deteriorating in Q4 of 2017, supported mainly by lower import volumes and increased domestic production. After witnessing a gradual curtailment in its annual improvement since Q1 of 2017, the non-hydrocarbon trade deficit continued to increase in Q2 of 2018 for the third consecutive quarter. The negative annual contribution of non-hydrocarbon imports continued to increase for the third consecutive quarter, while the positive contribution of nonhydrocarbon exports declined for the first time since Q2 of 2017. The services surplus continued to increase in Q2 of 2018 on annual terms, and its contribution to the improvement of the current account deficit rose, yet its pace of growth softened for the second consecutive quarter. The weaker pace was primarily due to a less favourable contribution from net receipts from tourism, transportation excluding Suez Canal tolls, as well as net government services, which have more than offset the more favourable contribution from Suez Canal tolls and net other services. On the other hand, net foreign direct investments (FDIs) inflows registered an annual increase Q2 of 2018 for the first quarter since Q2 of 2017. Meanwhile, portfolio flows registered a net outflow in Q2 of 2018 for the first quarter since Q3 of 2016. This was mainly due to net portfolio outflows excluding bonds due to global factors more than offsetting the inflow from the €2.0bn Eurobonds issued in April 2018. Furthermore, gross international reserves registered $44.5bn in October 2018, the highest on record. Economic growth of Egypt's external environment continued to soften, registering 2.8% in Q3 of 2018, compared to 3.2% in Q4 of 2017, the highest pace since 2011. Economic growth in advanced economies continued to ease for the third consecutive quarter to register 1.8%, as slower growth in the euro area, and Japan more than offset a slightly stronger growth in the UK. Meanwhile, economic growth of the US remained broadly stable in 2018 Q3, compared to the previous quarter. On the other hand, economic growth in emerging economies softened somewhat to register 4.8% in Q3 of 2018, after maintaining its continuous improvement between Q4 of 2015 and Q2 of 2018. Slower growth in India and China compensated a higher growth in Brazil. Meanwhile, economic growth of Russia remained broadly stable in Q3 of 2018, compared to the previous quarter. Headline inflation of Egypt's external environment continued to increase for the second consecutive quarter to register 2.5% in Q3 of 2018, compared to 2.2% in Q2 of 2018. Inflation in advanced economies continued to increase to register 2.2% in Q3 of 2018, up from 2.0% in Q2 of 2018, mainly due to a moderate acceleration of the euro area, the UK and Japan inflation rates, despite the marginal deceleration of inflation rates in the US in Q3 of 2018. Furthermore, inflation rates in emerging economies rose slightly to register 3.0% in Q3 of 2018, after stabilising for the previous two quarters at 2.7%. The acceleration of inflation rate in Brazil, China, and Russia neutralised the deceleration of the inflation rate in India in Q3 of 2018, compared to the previous quarter. After slowing down in Q2 of 2018, global trade annual growth accelerated modestly to an average of 3.9% between July and August 2018. This compares to an average of 3.6% in the previous quarter. Brent crude oil prices continued to decline to register an average of $69.9 per barrel in the first two weeks of November 2018, after peaking at $86.1 per barrel in mid-October 2018.This was mainly driven by concerns about global economic growth, growing US inventories, as well as a temporary waiver of Iran sanctions which came into effect in early November 2018.Nonetheless, spot prices remained subject to potential volatility stemming from the supply side. "Meanwhile, international food prices, using domestic consumer pri9ce index (CPI) basket weights of core food items, continued to decline on annual terms in October 2018 for the fifth consecutive month, to register its largest annual decline since May 2016 at negative 7.4%," the report stated. "This decline was mainly due to red meat, dairy products, oils, and sugar as production conditions improved." The Federal Reserve kept its policy rate unchanged in November, after raising it by 25 bps in September 2018 for the third time in 2018. The Bank of England also kept its policy rate unchanged in November, after raising it by 25 bps in August 2018 for the second time since November 2017. Furthermore, the European Central Bank kept its policy stance unchanged. The three central banks made no changes to their asset purchase programmes since the previous monetary policy report. The Federal Reserve maintained its balance sheet relaxed plan, which started in October 2017, slowing down the amount of government debt it reinvests. Meanwhile, the European Central Bank maintained its plan to phase out its asset purchase programme, halving monthly purchases since January 2018 to €15bn until the end of December 2018. Capital flight from EMs, which started in February 2018, continued for the ninth consecutive month in October 2018, however, at the slowest monthly pace since April 2018. Capital outflows were supported by concerns about the growth outlook for emerging economies, the prospects of further escalation in trade tensions, tighter global financial conditions, as well as weaker fundamentals in some emerging economies.